Here are some questions that I get asked a lot! If what you’re wondering is not covered below, please e-mail me (all_about_ami@hotmail.com) or post a message to my Facebook, Twitter or Instagram! 1) I really want to learn how to make amigurumi! Where should I begin? 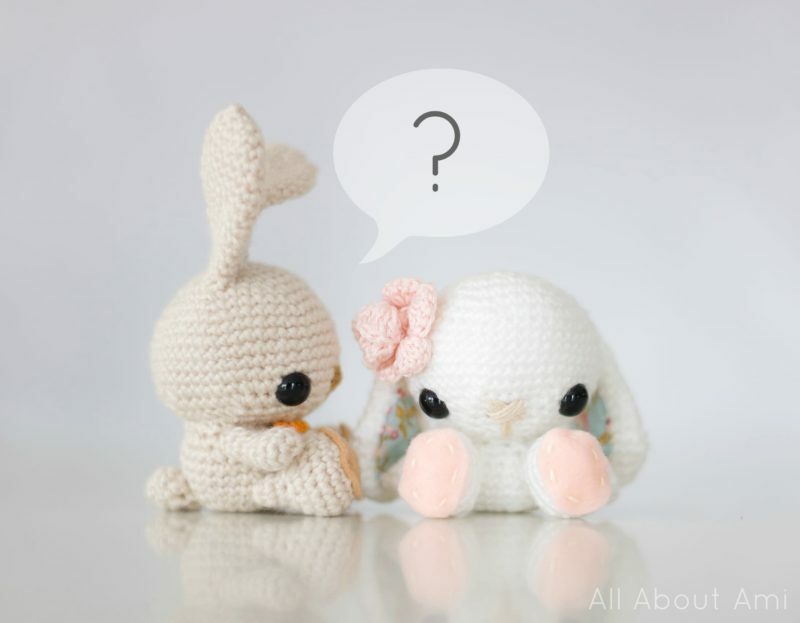 That is so exciting that you want to learn how to make amigurumi! There are many free resources on-line that can help you begin your journey making adorable stuffed animals. For starters, you can check out my blog post entitled “Amigurumi for Beginners“ in which I link to some helpful videos and break down what materials you will need. Youtube is a great resource for visual learners! 2) Which of your patterns do you recommend for beginners? I recommend my “Amigurumi Teddy Ornaments” and “Spring Bunnies” for beginners as they are very straight-forward patterns. With that being said, I know that some people have tackled my more difficult projects such as the “Despicable Me Minion” and “Dragon” as their first projects! If you’re really interested in a pattern, just give it a try! If it ends up being too difficult you can always go back to trying an easier pattern! 3) Where do you buy your yarn? What type of yarn do you use for amigurumi? I tend to buy most of my yarn from Michaels. For amigurumi I typically use worsted weight (4) acrylic yarn (all different brands depending on their colours). I’ve used “Lion Brand’s Vanna’s Choice”, “Patons Canadiana“ and ”Loops & Threads Impeccable Yarn“ frequently. My favourite yarn to work with is mercerized cotton as it has a lustrous finish and does not fuzz up easily. ”Patons Canadiana” is a lightweight (3) mercerized cotton that I used to make my Teddy Ornaments and Dragon. 4) Where do you buy your safety eyes? I could not find any safety eyes in any stores where I live in Canada so I buy them on-line from an Etsy store called “6060”. 5) What crochet hooks do you use? I previously used aluminum hooks but switched to my ergonomic “Clover Amour“ hooks that I absolutely love! You can check out my review about them HERE. 6) 2 mm seems like a really small crochet hook to use. Is this a typo in your pattern? Will your pattern still work if I use a bigger crochet hook? Yes I do indeed use a 2 mm crochet hook when crocheting my amigurumi! For amigurumi, it’s recommended to go down a couple hook sizes to attain a tighter gauge so that there are no holes (preventing stuffing from coming out) with very small, tight stitches. Thus, even though your yarn label might say to use a 5.5 mm crochet hook for that particular yarn, it’s better to use a smaller hook. Using a 3 or 3.5 mm hook would be fine, and using a bigger hook than my 2 mm hook would just make your finished product turn out a little bigger! 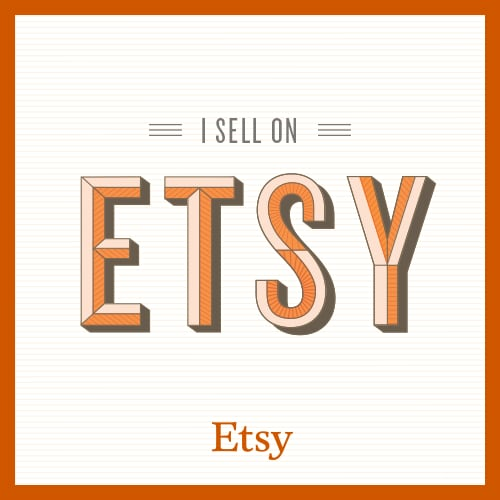 7) Do you sell your crocheted creations? No, I currently do not sell any of my work, but I thank you for your interest! My current focus is on blogging as I enjoy dreaming up new designs and blogging about my projects. I know that I would not be able to devote as much time to the blog if I were to open a store or sell my work! You can check out this list of stores who sell finished products using my designs and patterns HERE– you can contact them if you are interested! If you are a shop owner who would like to be added to the directory, fill out this form HERE! 8) Can I sell the products that I make using your patterns? Yes, you may sell your finished products using my patterns. I ask that you please clearly credit the design to me, Stephanie Lau of “All About Ami”, and please provide a link to my blog:www.AllAboutAmi.com Please do not use my photos when selling your work as this can be misleading for your potential customers. Do not sell, reproduce or distribute my patterns in any manner, but feel free to link to my patterns! Thank you for being respectful and for your understanding! 9) What does “*Sc 2, 2 sc in next sc*, rep 6 times” mean? Please see my “How to Read Amigurumi Patterns” for a detailed explanation on how to read each line of an amigurumi pattern with plenty of pictures! 10) I don’t understand a certain part of your amigurumi pattern. Could you please explain it more? Whenever I release a new amigurumi pattern, there are two parts: (1) a step-by-step blog post with plenty of pictures and more detailed explanations and (2) a more formally written out pattern. If you are only referencing the pattern, please also check the step-by-step blog post to see if it will help answer your query. I always link to the step-by-step blog post in the pattern itself and recommend that people follow along with it when going through the pattern! 11) I don’t understand “crocheting around a foundation chain”!When we are trying to create an oval shape, we typically crochet around a series of chain stitches known as the “foundation chain”. This means that we crochet down the back loops of the foundation chain first (the ones further away from you), turn your work, and then crochet around the front loops of the foundation chain. Check out this blog post HERE to see step-by-step instructions and pictures showing how to crochet around a foundation chain to create an oval! 12) My amigurumi/cowl/crochet project is not turning out! I don’t know what went wrong…can you help? I can try! Send me a photo so I can try and pinpoint what is going on! 13) Can you please make a video for your ____ project since I’m more of a visual learner? Currently I do not make videos to accompany my patterns as filming and editing them would require a lot of time and effort. I have toyed with the idea of possibly making videos in the future, so I will keep you updated if I ever do! 14) Can I link to your work in my blog or round-up? Yes, you are always welcome to link to my blog or include me in your round-up’s! I would love to know about these features, so please let me know if you are doing so! 15) Do you take requests? Can you please design a _____? 16) Do you know of any good free patterns for a _____? Whenever I need to look for a pattern, I typically search on “Ravelry”, a database for crocheters and knitters that is full of free patterns! It’s free to sign up and it’s great being able to see the finished products of people who used the same pattern to see how they turn out! 17) I want to design my own amigurumi too! Do you have any tips? I am trying to put together a blog post about this! Thanks for your patience! 18) Are your crochet patterns written in US or UK terms? All my crochet patterns are written in US terms! 19) Can I translate your pattern into my own language and post it on my blog or Facebook page? I do not allow translations of my patterns to appear on other people’s blogs or Facebook pages. However, if you would like to translate my pattern, I can attach your translation as a PDF onto my blog so that people can access it. You may include your blog and social media information in the PDF. Please e-mail me if you are interested and we can discuss this further! 20) Are there any crochet books you recommend for beginners? I love “Crochet, Learn It. Love It” as it is a wonderful skill-building book that works progressively through the stages of crochet. You can also find my Finnley the Fox pattern in this book which I blogged about HERE!